My New Year’s Eve manicure will be Chanel Peridot I got for my BDay from very dear friend. But as Maestra did such a good job at presenting Peridot and I bet all of you have already seen it 1000 times, I’ll show you my Christmas manicure instead. 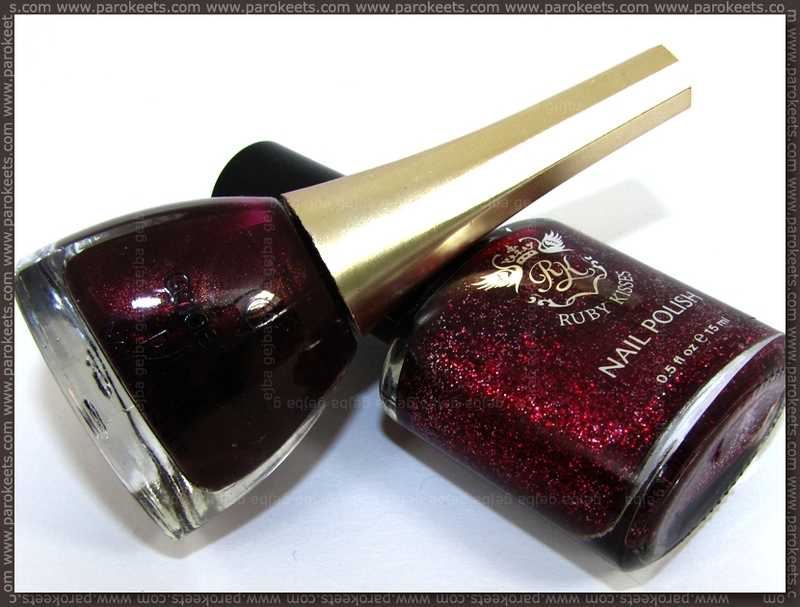 You already saw Golden Rose Paris 82 in my nail polish collection video. 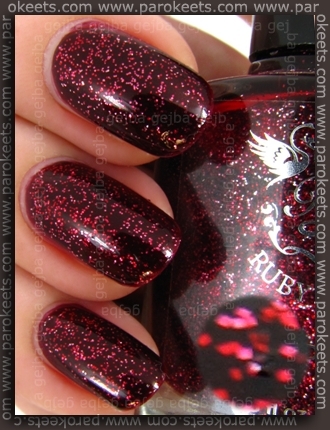 For Christmas manicure I layered Ruby Kisses Ruby Slippers glittery nail polish over Golden Rose no. 82 base. You know me, I wear lots of crazy colors on my nails, but usually people tend to be quiet and they rarely comment. Now with this combo I got so many compliments that I simply had to LOL couple of times. I guess I now know what to wear if I ever need ego stroking. I’ll be busy baking tomorrow and getting ready for New Year’s Eve party, so this is my last post for this year. Which means … I wish you all happy, successful, healthy and prosperous 2012! Next articleBH Cosmetics – 10pcs Deluxe Makeup Brush Set (review, swatches) & SURPRISE!!! and the same to You :) I wish You lots of love and nail polish! I’m wearing a similiar mani – with NYX gentlemen prefer red as a base, with NYX dorothy on top.